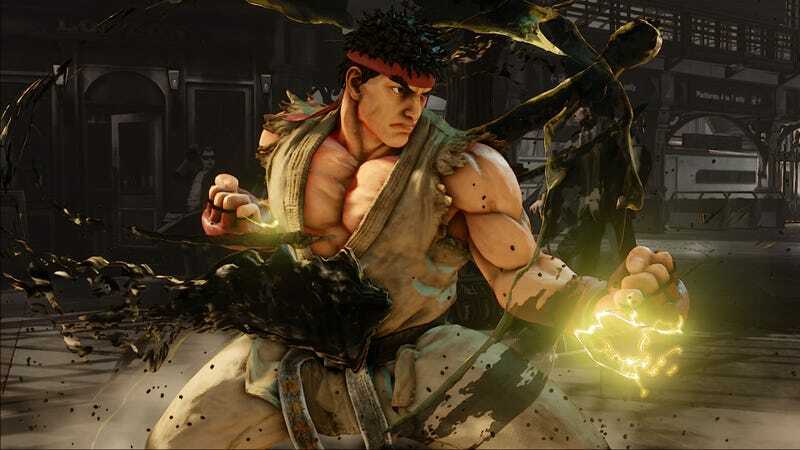 Capcom has just launched a hadoken into the TV world, with production Entertainment One announcing that it’s developing a live-action series based on the long-running Street Fighter video game series. This comes from Deadline, which says that the team behind Machinima’s web series Street Fighter: Assassin’s Fist—Joey Ansah, Jacqueline Quella, and Mark Wooding—will be executive producing the show, but it sounds like this is all way too early to have a proper TV network or streaming service attached just yet. Also, as a bit of good news for people who haven’t bothered to keep up with Street Fighter continuity after the Super Nintendo days, Deadline says this series will be based on the plot of Street Fighter II and center on Ryu, Ken, Guile, and Chun-Li as they compete in a martial arts tournament run by a wannabe dictator named M. Bison. That means this will actually resemble the old video games, unlike the live-action Street Fighter movies, but maybe the people behind this can still work in an homage to Raúl Juliá’s awesome Bison from the otherwise lousy Jean-Claude Van Damme Street Fighter. Beyond the five characters already mentioned, Entertainment One head Mark Gordon mentions that one of Street Fighter’s strengths is its “wide range of ethnically diverse characters and powerful women,” so the TV show will most likely include a bunch more iconic fighters from the games. More like a Street Fighter TV show-ryuken, right?